Freedomizer Radio Hrs2-3 Liberty Underground/The Moretti Report. Join us beginning at 4 pm EST, at 3 pm CST, 2 pm MST and 1 pm PST for the Christmas Eve version of the Liberty Underground/Moretti Report! Sleigh bells ring, will you be listening? 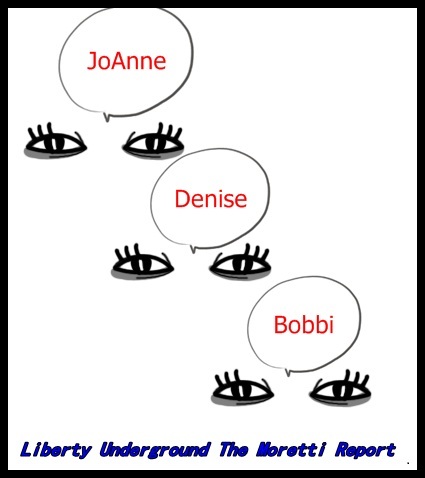 What a great show today on the Liberty Underground The Moretti Report. Many Patriotic bloggers and guests attended during the live broadcast and what a pleasant surprise as Pat Dollard stopped by and made a spectacular educational appearance. If you didn’t hear the broadcast live, this is THE recording that you must listen to regarding the insurgencies that are occurring within the United States of America TODAY. Pat shared the website SAFE, Secure America Forever, which is America’s only full-spectrum warfare organization dedicated to permanently securing America’s borders. There is Volunteer Link on SAFE where Patriots can get involved as a SAFE operatives or SAFE support staff member. It’s Our Country, Let’s Secure It! Many Thanks to Pat Dollard for the valuable time he devoted to the second show of the Liberty Underground The Moretti Report!